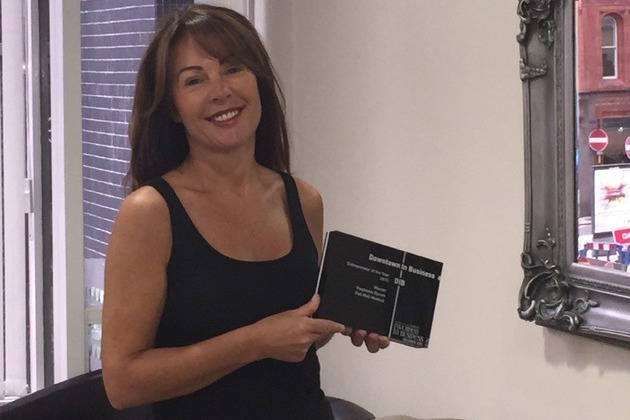 Stephanie Byrom, CEO of private healthcare provider, Pall Mall Medical, was proudly named Entrepreneur of the Year 2015 at an event recognising talented business women in the region. Downtown in Business hosted the inaugural Women in Business awards 2015 at the Lowry Hotel on Friday 10th July 2015. The gala lunch event rewarded female entrepreneurs, business owners and decision makers from across the region. Pall Mall Medical provides private healthcare services to self-paying and private medical insured patients, plus corporate medical services to businesses at three locations within the North West: Liverpool, Manchester and Newton-le-Willows. Stephanie said, “Winning this award means so much to me; I can’t take all the credit because I work with an absolute fantastic team at Pall Mall Medical. It is an honour to win such a great accolade — thank you very much to everyone who voted for me and made this possible." Other nominees included: Liz Clarke (Bike Right), Jennie Johnson (Kids Allowed), Jo Leah (Webber Shandwick) and Claire Sofield (4 recruitment).